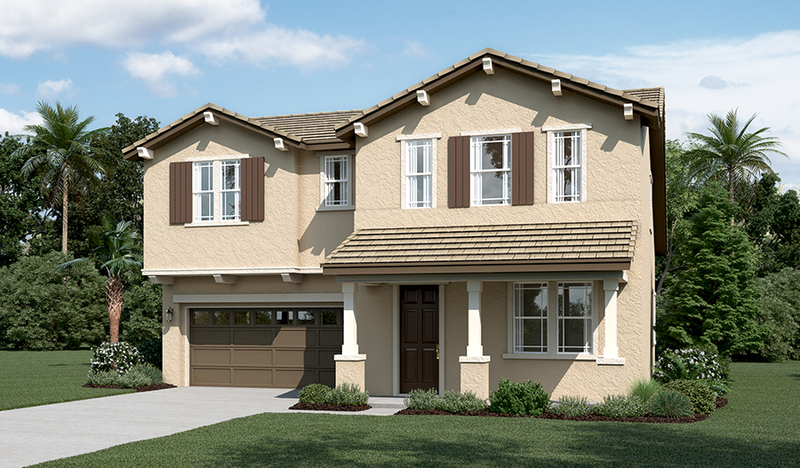 The Aurora plan offers a large entry and a flex room that can be optioned as a dining room or study. Step into the kitchen with a center island and pantry, a dining nook and great room with optional fireplace. A powder bath and study off the great room can be optioned into a first floor bedroom and full bath. Upstairs, a large landing can accommodate an optional tech center. You will find three additonal bedrooms including a master suite with a spacious bathroom featuring a dual sink vanity, shower and soaking tub and a large walk-in closet. 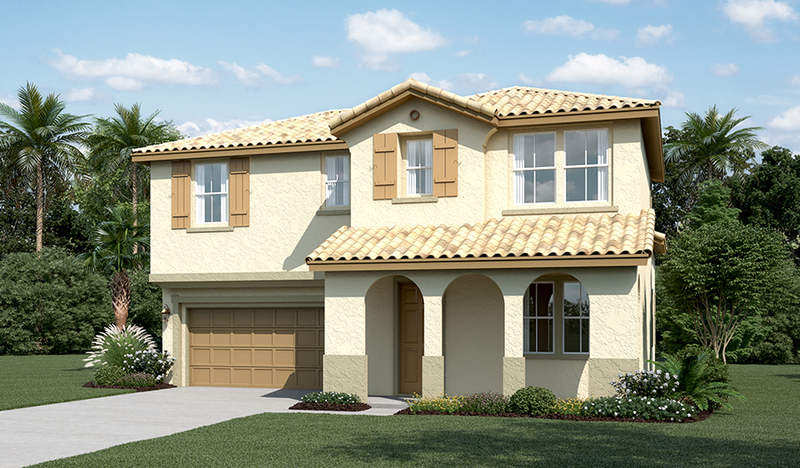 Options include a loft upstairs, covered patio and a spacious walk-in shower in the master bathroom.